Design is everything. Well, at least for a lot of us- there is a certain sentiment that goes into transforming a home or business office into something bigger. 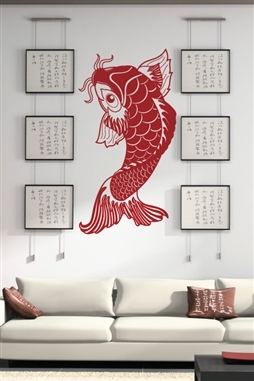 Made especially for the DIY and deco enthusiast, let our home wall graphics enhance the aesthetics of your space! Since 2008, WALLTAT has been specializing in DIY wall art that is easy to install, removable, and extremely affordable! All of our decals have creative designs and are made from thin and opaque material with a matte finish, making them very natural looking and blendable with any surface. Another great thing about our self-adhesive wall decorations, is that they can be easily installed within seconds by anybody- no technical skills are required! With our unique selection of creative wall appliques, now you can achieve maximum visual impact at a very low cost! Browse today and learn how you can transform your walls, glass, floors, doors, ceilings, and furniture into something beautiful. If you have any questions or need help, please contact us directly at info@walltat.com or 888-WALL-TAT.